The Jackets’ men’s cross country team begins its season in on September 6 and comes in with 10 seniors on the roster. That includes Brandon Lasater, who finished first for Tech at three meets during the 2013 season. Lasater is a two-sport athlete and runs both cross country and track. He is currently in his third year of cross country eligibility. A strong runner for Tech in 2013, Lasater believes he has improved and is feeling healthy heading into the season. “With all distance running, it’s a buildup thing. You’re never going to be worse than you were before, unless you over-train. Barring sickness and injury, every year you improve, so I definitely feel fit. A little bit of knee pain, but fitness-wise I feel pretty good,” said senior Brandon Lasater. His personal goals build on last year’s results too. Lasater finished 16th overall at last year’s NCAA South Region Championships and was one of two Tech runners to earn NCAA South All-Region Honors, which are given to the top 25 finishers. Senior Jeremy Greenwald finished 24th to earn the honors as well. Lasater also finished first among Tech runners at the ACC Championships. Naturally, he hopes to improve upon that this year. “[I hope] to get All-ACC in cross country, which is top 21. Other than that I would like to perform well at regionals and maybe make it to nationals individually if the team doesn’t make it,” Lasater said. On the subject of Tech’s 2014 team: “It’s really hard to tell until you get into a race and see how the other teams do,” Lasater said. The Jackets finished ninth out of ten teams at the ACC Championships and tenth out of 11 at the NCAA South Regionals, but that may also be due to the team’s focus on track over cross country. Lasater explained. Tech also added seven freshman runners to its 2014 roster but it will take a couple of meets to assess their potential. “Our freshman usually need to be developed because we don’t bring in big studs; we bring in people with potential,” Lasater said. 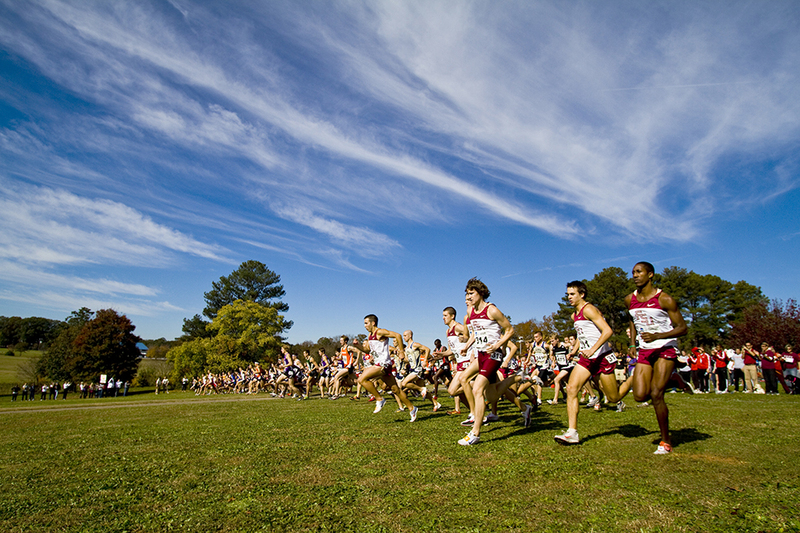 Many Jackets who compete in cross country meets as well as track events. This impacts the training schedule for these runners as they have to transition from the short distance track events, which run through the spring semester, to long distance running for the fall. Lasater’s track season went through late June this past summer. After a three week break, he was back training cross country. On top of being a two-sport athlete, Lasater is also a successful fourth year electrical engineering student. He was one of the members on the 2014 CoSIDA Academic All-America team for outstanding student athletes. To do this, Lasater has had to manage his time well. “The hardest thing is traveling, as far as making stuff up. Sometimes professors are very understanding, and sometimes they aren’t understanding at all, and you end up with a final that’s 70% of your grade. It all comes down to your scheduling abilities, so whether you can handle it or not is up to how you use your free time or not,” Lasater said. Lasater and the rest of the men’s team will compete in their first meet of the season at the UGA Invitational in Athens on September 6. The team will compete in three more meets before competing in the ACC Championships at Halloween.